Spring is a great time to explore flowers and gardening. Whether your indoors or outside little ones will have fun creating their own garden. 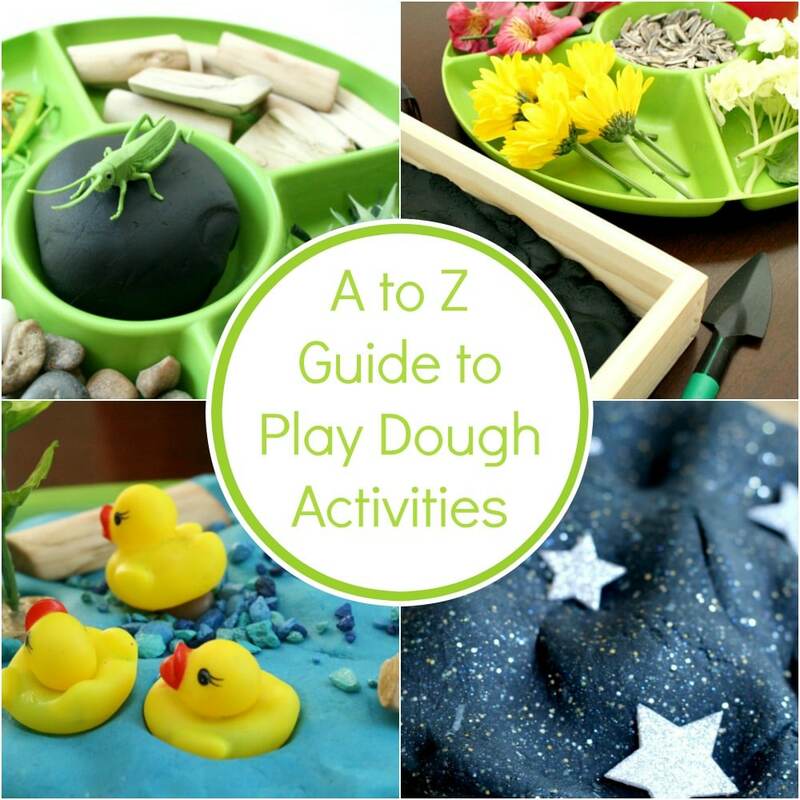 This spring play dough invitation is quick to set up. And it’s a great way to practice counting and learn about the parts of a flower. To set up the activity, you’ll need some number stamps. This version from PlayDoh is the set pictured. We also really like this dough stamper set from Lakeshore Learning. We chose to focus on the numbers 5 through 9 for this learning activity, so I only set those stamps out. 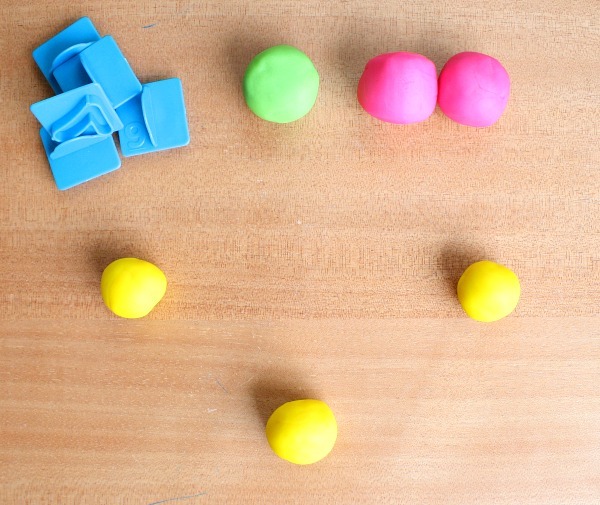 Next to the stampers I placed green and pink play dough. And in the middle of the work space I spread out three balls of yellow dough. As with anything that involves play dough Tinker was immediately intrigued. 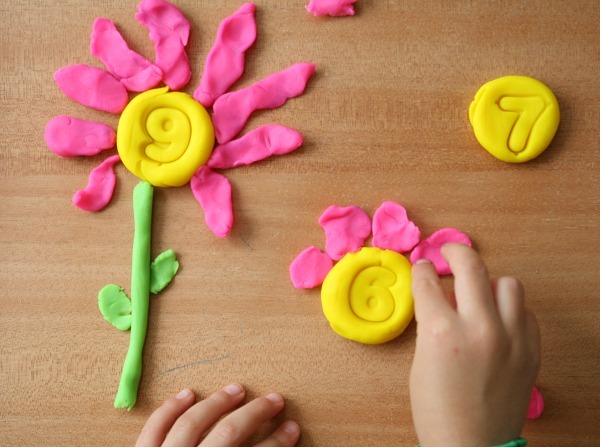 She started by stamping numbers into the yellow play dough. Then she created her own flower petals. Each flower gets the number of petals that matches the number stamped. This is a fun way to practice number recognition and creating sets. As kids get more comfortable creating the individual flower petals, they can also use some creativity to devlop different kinds of flower petals. You might even look at a book or some picture online to observe different flower shapes on real flowers.By doing so you are incorporating some preschool science skills as well. Another way to incorporate science is to discuss the vocabulary for the parts of a flower. This is easy to do as kids separately create the flowers, stems, and leaves for each flower. 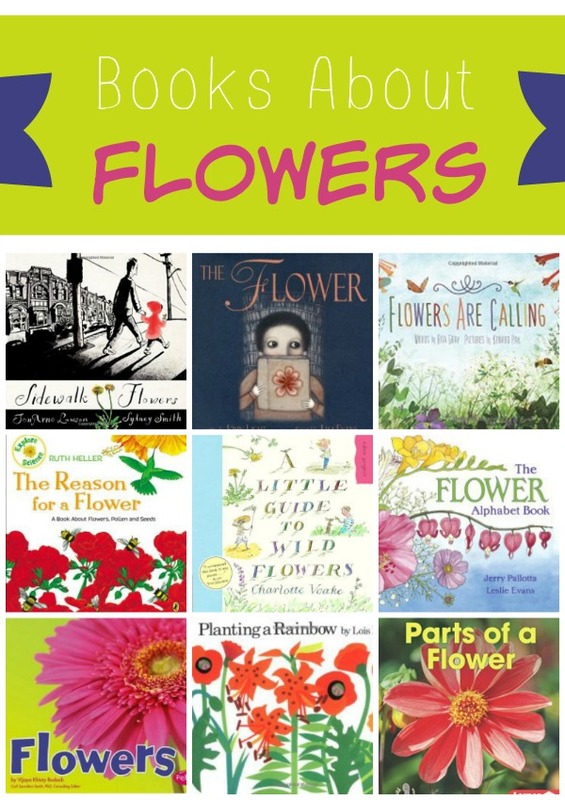 Parts of a Flower is a great book to read along with this activity. 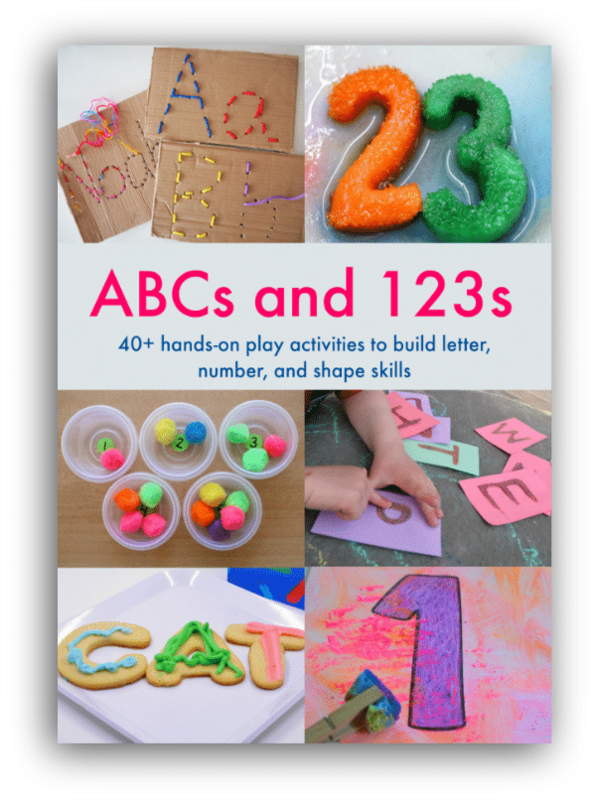 After setting out this initial invitation you can also leave out the materials and maybe some additional play dough colors for continued playtime. Tinker went on to create numerous Counting Gardens with all sorts of varieties of colors and flower shapes. 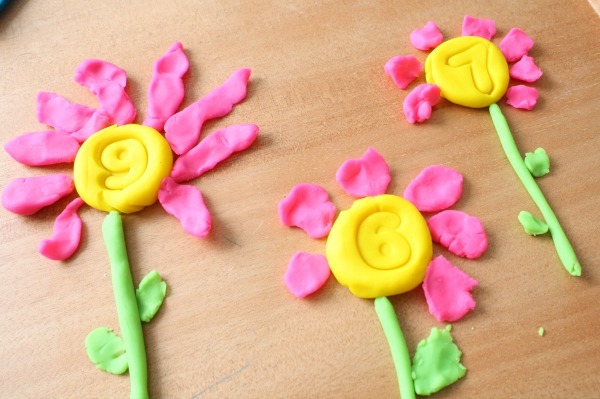 Follow this activity up with activities using our free printable flower number cards. Click on the image to find our other flower theme activities. Take some time to read about flowers together to enhance the learning inspired by this activity. 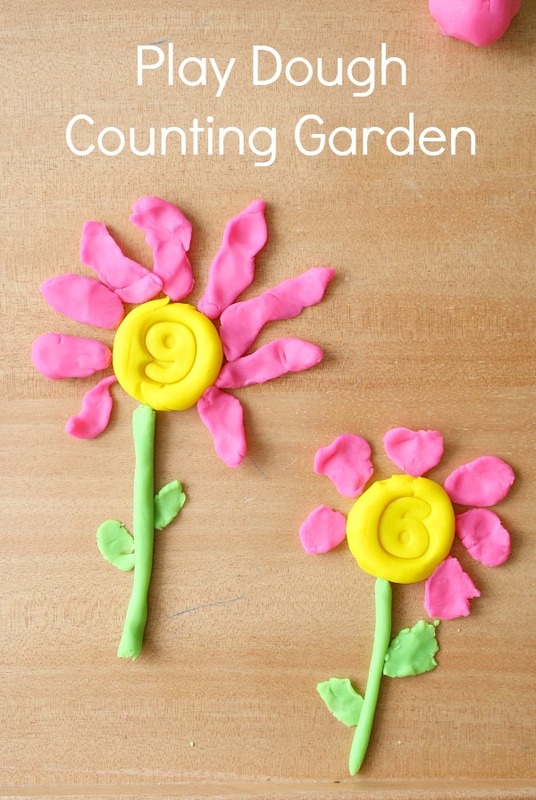 I love this activity for preschoolers for both counting and creativity.